JUNE 2-3 will see former Inverness Class 37/0 No. 37025 Inverness TMD return to its 1980s haunts with a Scottish Railway Preservation Society tour to Wick and Thurso. 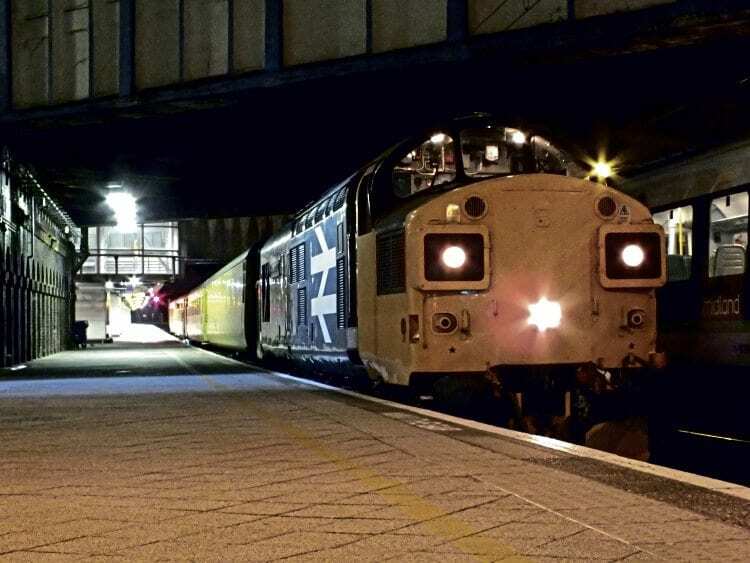 The Scottish Thirty-Seven Group’s Type 3 is currently on hire to Colas Rail, and will be paired with a sister locomotive for the overnight trip, departing from Edinburgh Waverley at 22.00. The train will be using the SRPS set of Mk1 coaches and will head north over the Highland Main Line, passing Inverness as day breaks, running to Wick (arrive 07.30) via Invergordon, Helmsdale and Georgemas Junction. Passengers will then have the option to stay with the train or take a coach trip to John o’Groats. Before heading back south at 14.00, the train will visit Thurso – Britain’s most northerly railway station. Arrival back in Edinburgh is expected at 23.30, after stops to set down at Perth, Dunblane, Stirling, Falkirk Grahamston, and Linlithgow.